Today in History–May 28–the Library of Congress features athlete Jim Thorpe, born on this day in 1888 in Indian Territory which is now Oklahoma. A double gold medalist (decathlon and pentathlon) at the 1912 Olympics and played baseball and football professionally. 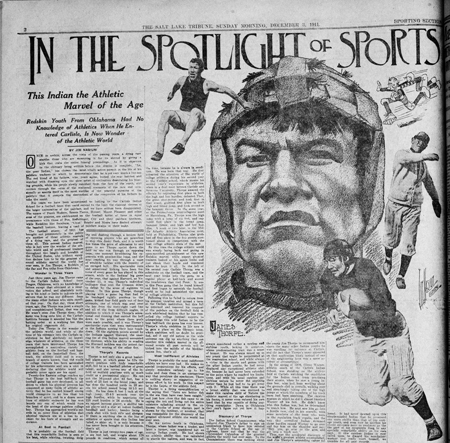 Learn more about the ups and downs of the man dubbed the “athlete of the century” by visiting the Today in History section, then click the links below to access primary sources related to Jim Thorpe.